Admission is free. Registration is requested. Google’s Get Your Business Online mission is to get local businesses online and help them grow. Google My Business (GMB) is a free and easy tool to get businesses on Search and Maps. We recommend it as the first step when helping businesses grow–it takes about 10 minutes to set up. 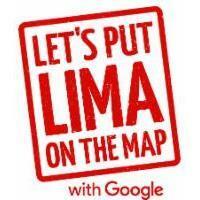 Google My Business is a free tool that businesses use to manage their business info across Google Search and Maps. By keeping their info accurate and up-to-date, customers can find and connect to their local businesses.